Mixing the perfect color is hard enough with real paint. Getting the exact shade of blue you’re looking for in a painting app is almost impossible. After all, you can’t color match an orange. The color picker tool on your tablet or smartphone can’t touch real world objects and let you know its HTML code. But now, a new smart stylus and pen called Scribble claims it can do just that. Updated on 08-14-2014 by Malarie Gokey: Scribble cancelled its Kickstarter campaign shortly after it launched. The crowd funding site requested a more detailed video, showing the pen in action. Some allege that the Scribble pen is a hoax. 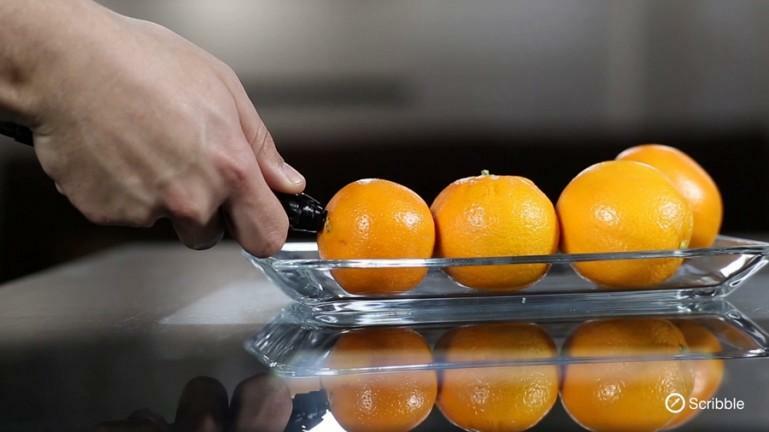 Scribble is a pen with a scanner that can determine the exact color of any object and reproduce it. 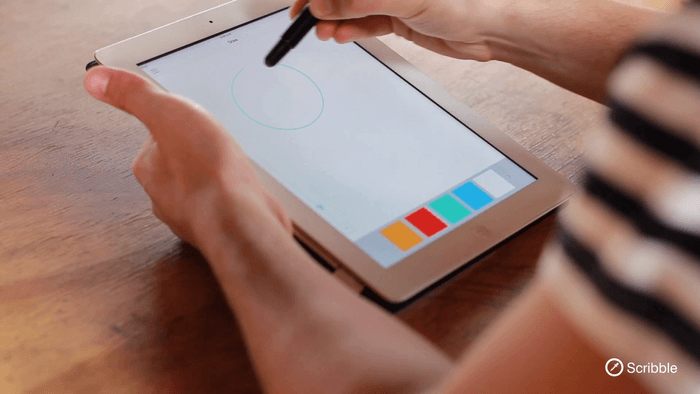 Once it’s figured out the color you want, Scribble automatically creates the color for you to draw or paint with on regular paper or on your mobile device. The company recently launched a Kickstarter project, which was funded three times over in just a few short days. However, shortly after it was launched, Scribble cancelled its campaign. it was incredibly difficult to click the cancel button on Kickstarter, but we’re optimistic about the future. “We fully assure you that there is no reason to panic and our team is doing its very best to come up with a much better and very informative video that will put all your questions and concerns to rest,” the statement read. Meanwhile, Hack a Day issued a report in which it alleges that Scribble is a hoax. The publication reasons that the processor Scribble claims to use is too powerful for the pen and the design is unlikely to function. At this point, it’s unclear if Scribble is a hoax. We reached out to Scribble, but the company has yet to respond to requests for comment. We will continue to update this story as more information becomes available. To match the color of any object, be it an orange, wall, book cover, nail polish shade, or fabric, all you have to do is hold the pen against the object’s surface for a few seconds. Then, the RGB color sensor will detect the color, create the ink (digital or physical), and store it on the app for future use. Now that the project’s been funded, two different versions of Scribble will be made, including Scribble Ink, which works like a normal pen on real paper and Scribble Stylus, which works on mobile devices with digital inks. 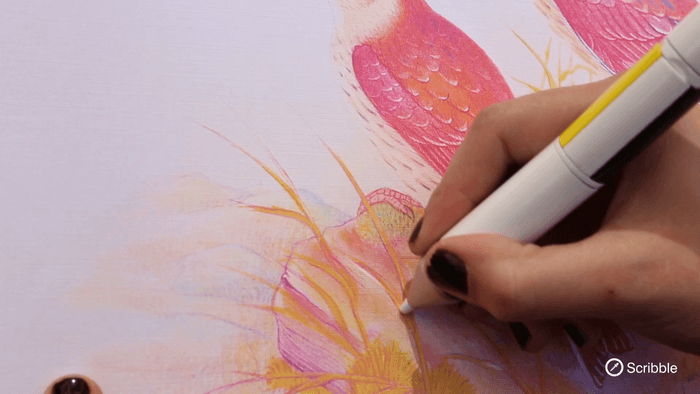 Both Scribble pens have a color sensor, 1 GB of internal memory for storing 100,000 different colors, a rechargeable Battery, Bluetooth 4.0, and a processor. The regular pen will also come with five ink cartridges. Scribble offers several different point sizes, too, so you can get the best line for what you’re doing. Nib sizes include 0.3, 0.5, 1.0, 1.5, 2.5, and 3.71 millimeters. Luckily, Scribble works with both iOS and Android, so you can keep track of all the different color inks you’ve collected over time and switch back to your favorite colors at any point in time. The pen is also compatible with Mac and PC for those of you who like to draw on your desktop. Scribble linked up with Photoshop, too, which should make digital artists extremely happy. The only bad thing about Scribble seems to be the price. Although it costs just $150 if you preorder it, Scribble will probably retail for around $300. If you buy the Scribble Ink pen, you’ll have to buy ink cartridges from time to time, too for $3-$10 each. Of course, Scribble says that it will save you money in the long run because you won’t have to buy real pens any more and you won’t need all those different colors either. If you’re a normal human who’s just going to write with the pen, Scribble may be out of your price range. However, if you’re an artist who’s familiar with the problem of literally owning hundreds of different pencils, which cost about $2 each if they’re high quality, Scribble may sound like a great bargain. Of course, in that case, the quality of the colors produced and the richness of the ink cartridges will be much more important to you.